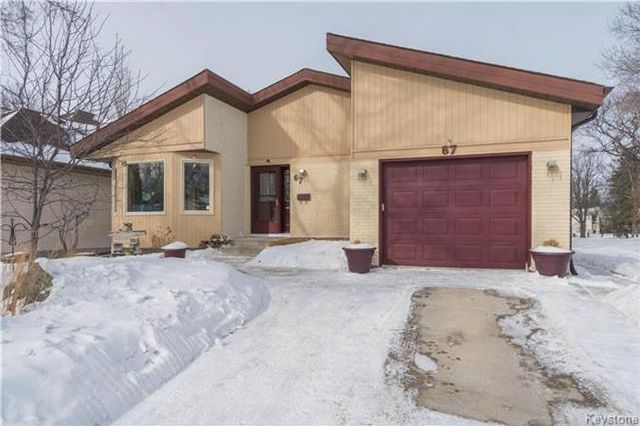 This St Vital charmer has been meticulously maintained by it’s same owners for the past 32.5 years. The 4 bed, 2 bath, 1464sf bungalow features a professionally updated kitchen with a large island, soft close cabinets, under cabinet lighting & stainless steel appliances. The spacious main floor washroom features his & her sinks, heated floors,stand alone air-jet tub, and a skylight letting in loads of light. The lower level of this home has a large rec room, two of the bedrooms and another large bathroom - there is also tons of storage, 2 sump pumps,a new HWT(2017)and new washer & dryer(2017). The attached garage was built on piles and currently has a wheelchair lift for access to home. The yard has been professionally landscaped and the gazebo was built with engineered drawings. A gas BBQ hook up was installed in 2012 and patio doors were replaced in 2015. Located close to great schools, U of M, St Vital park St Vital mall and all other amenities.